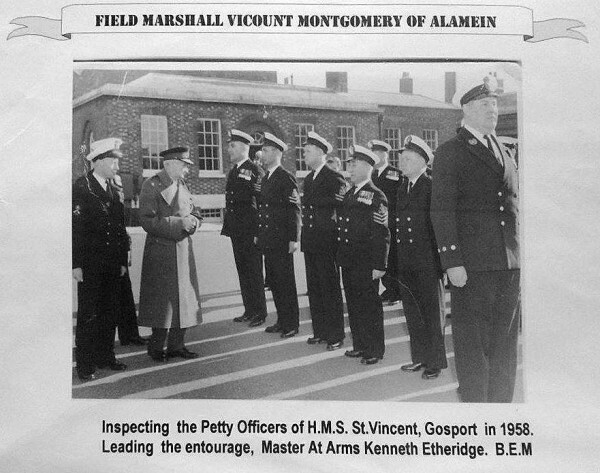 Today in Gosport’s Past:- on 10 November 1958, Viscount Montgomery of Alamein visited St Vincent Barracks, and in this commemorative leaflet is seen here inspecting the petty officers; the Master at Arms (right) is the late Kenneth Etheridge B.E.M. 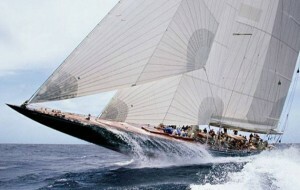 – our very own Fiona Etheridge‘s dad. Given the date, I’d naturally assumed that this was a Remembrance Day event, but having checked a 1958 calendar, I find that the 10 November was a Monday, not a Sunday. Never mind. Thanks to Fiona for the photo – it’s a pity they forgot the ‘s’ in ‘Viscount’…..